Consultation lab coats are typically hip length. They’re designed, in part, to maximize the freedom and comfort of clinicians who often find themselves seated for consultations, ergo the name. Medelita, the company that created the premium lab coat category is especially proud of its gender specific consultation lab coats, with considerable justification it seems. 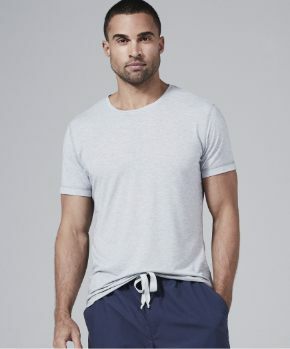 They’re made of the same proprietary, pristine white, comfortable, soft, breathable, preshrunk, 100% cotton fabric, that’s used in all their lab coats. They’re hand-sewn and somehow they’ve managed to make the fabric both wrinkle resistant and so fluid resistant that blood literally rolls right off of it. Through the use of Advanced Dual Action Teflon® the fabric is also soil and stain repellent. These constitute an unusual combination of features for consultation lab coats. 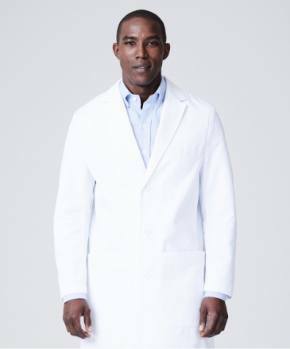 The “Fleming,” a 30” length consultation lab coat in the Medelita Men’s collection, has a crisp, clean and prestigious appearance. 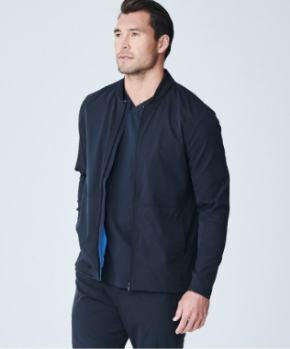 It also offers an ergonomic fit and hand tailored styling that convey confidence and competence. 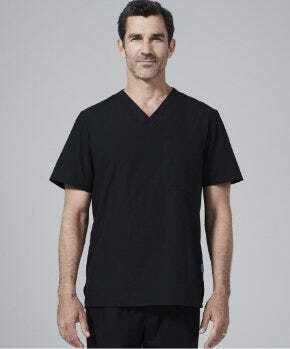 This consultation lab coat represents a considerable upgrade in fashion, fit, function and fabric from generic, boxy, polyester blend coats with their limited breathability. The “Elizabeth B.” 28” length consultation lab coat in the Medelita collection also conveys unparalleled quality. 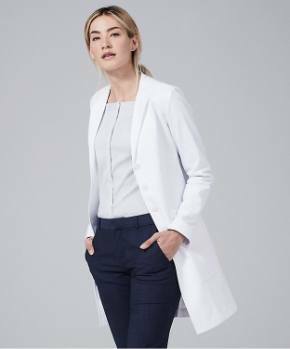 With lapels similar to the company’s signature “Callia” full length lab coat, the Elizabeth B. offers many of the same features, such as feminine shaping, a hidden inside pocket, and Medelita logo fabric covering the inside seams. The 3 outside pockets are roomy enough to hold instruments and manuals for a long shift. They’re also reinforced to make sure the coat maintains its condition for a long, long time. In fact, all Medelita lab coats include the company’s Professional Courtesy Guarantee that’s good for one year from the date of purchase. We know of no other medical apparel company offering anything comparable. Given how many hours lab coats are typically worn and the conditions they’re often exposed to, that’s an extraordinary expression of confidence from the manufacturer. As all clinicians know, there are many sources for non-premium consultation lab coats, but when it comes to premium quality, a clinician would be hard pressed to find another consultation lab coat that offers the benefits available from these coats.